UVdesk - How to add Agent Privileges? The admin or the owner can set the access for the agents like which part they can see on their service portal. The owner can restrict which part of the helpdesk the agent have the authority to see and what actions they can perform which can be set under agent privileges. Under agent privileges, there are set of privileges which agents can perform if they have the authority to do so. Example- If an agent has the privilege to manage knowledge base then he will see the option of the knowledge base in the account of his service portal else not. On the Dashboard, you will see "USERS" menu and under it, you will find "Privileges". Click on the "Privileges" Icon and then you will be redirected to a new page. 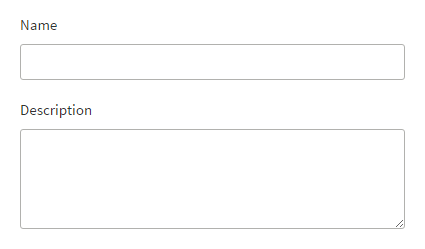 In the new page, you will see a list of existing Privileges ( if any ) and "New Privilege" button. Hit the "New Privilege" button and then you will see a new page for creating New Privilege. For creating a Privilege, enter Name, Description and select the privileges for Tickets, Tasks and Advanced. 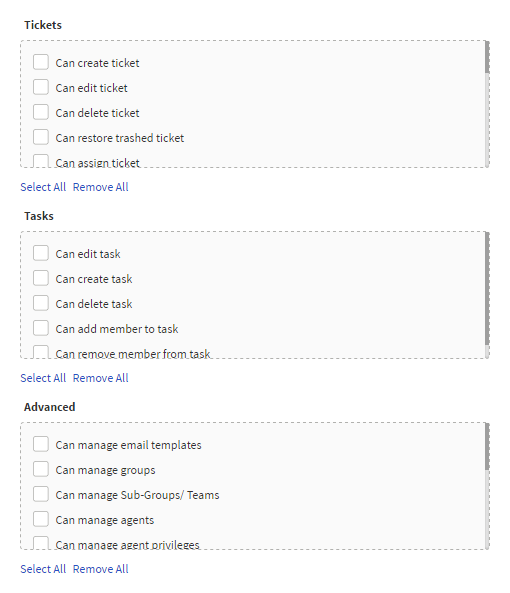 In the Ticket Section, you can give permission to create, delete, edit tickets, assign a group, update priority and much more. In the Task Section, you can give permission to create, edit, delete, add/remove a member in the task. In the Advanced Section, other permissions related to the UVdesk workflow are provided. Click on "Save Changes" to save information and create a new "Privilege".